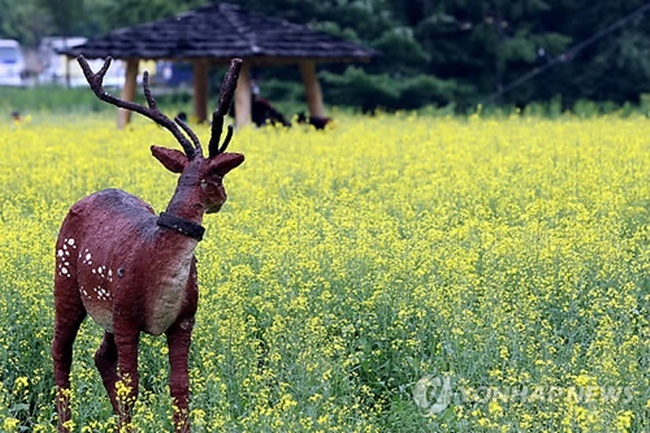 TAEBAEK, SOUTH KOREA, May 18 (Korea Bizwire) – An annual rapeseed flower festival in Taebaek has been cancelled amid fears over flower samples that tested positive for living modified organisms. Festival authorities announced yesterday the cancellation of this year’s local flower festival after discovering genetically modified flowers. Marking its sixth year, Taebaek’s rapeseed flower festival was to be held early next month for six days at Taebaek Activity Park in Gangwon Province, but the discovery of samples containing living modified organisms saw all rapeseed flowers covering an area of 8,250 square meters at the park disposed of this Tuesday. Living modified organisms are feared to cause confusion in the natural ecosystem, as they can reproduce thanks to genetically engineered genes inserted into their genetic code. The rapeseeds were planted in March after 50 kilograms of seeds were purchased from seed distributors, according to the festival committee. Amid the GMO fears, the festival committee is thought to have already spent 40 million won of its 60 million budget. “The incident has tainted the image of the flower festival and caused further financial problems with travel agencies, and the aftermath is expected to prove costly,” one festival official said. The festival committee also revealed it was willing to take legal action against the seed distributors and others responsible for the damages suffered.